Vintage 70's style - Medallion Tooled Leather Belt Strap - 1 1/2" Wide. Center bar antique silver finish buckle. Snaps to take on and off the buckle set. 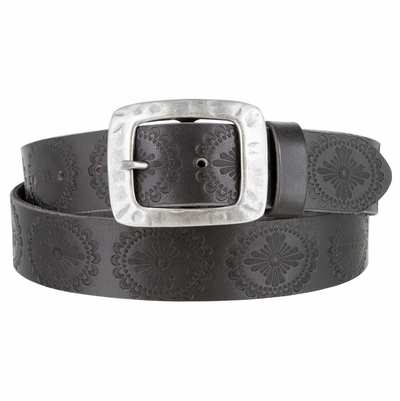 Embossed flower in the belt strap.